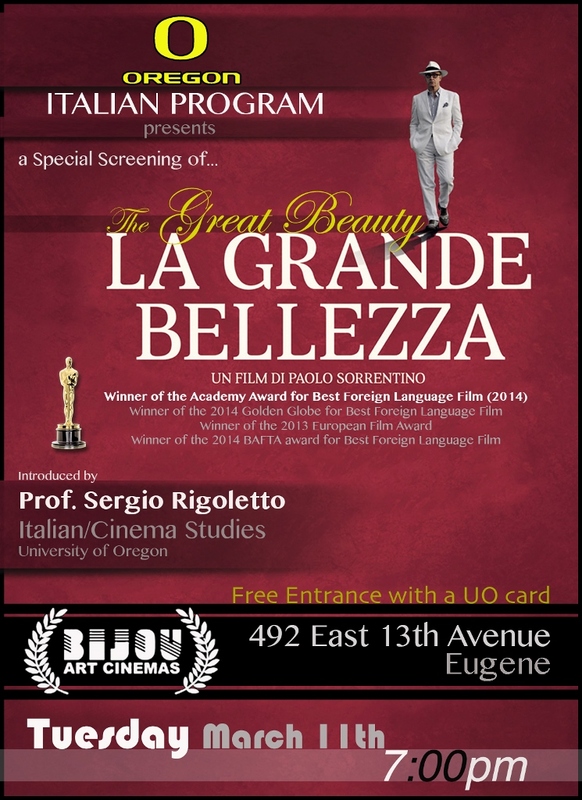 In collaboration with Latin American Studies, Romance Languages, the Yamada Language Center, Cinema Studies, the Oregon Humanities Center and the Global Scholars Hall. 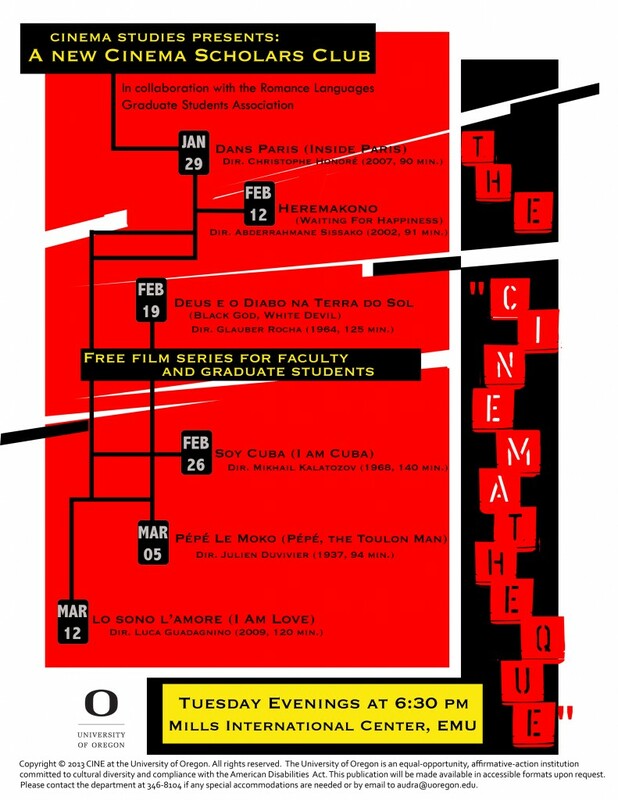 The spring 2013 Cinematique film series has been announced. 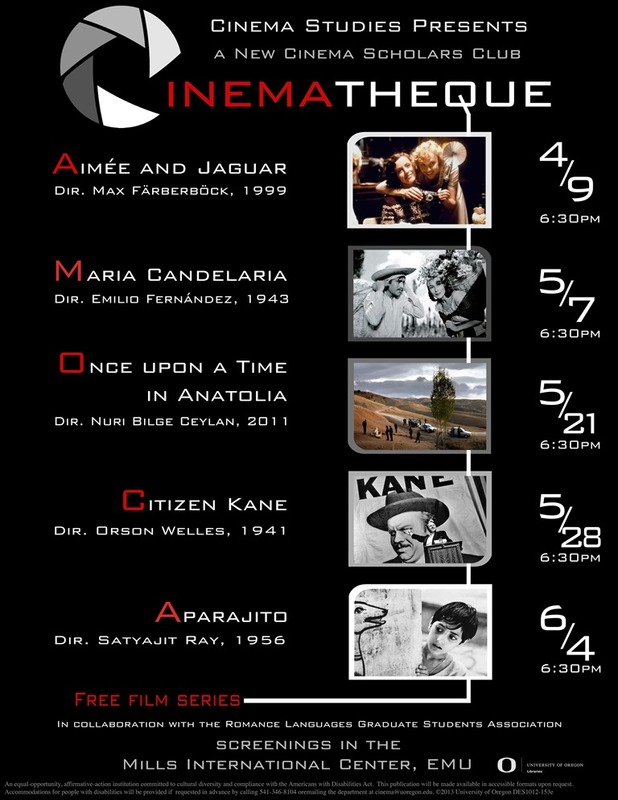 Please note these exciting film screenings in your calendars. 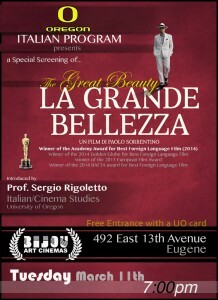 All screenings will be held in the Mills International Center and are free and open to the public. 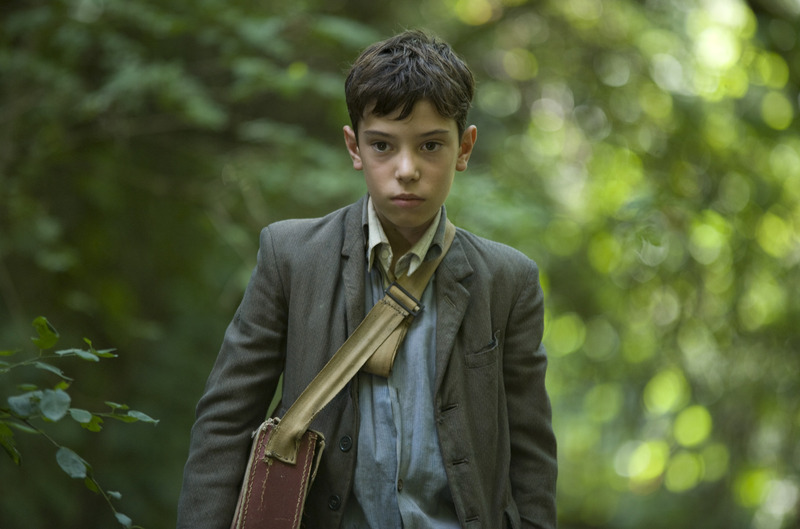 Writer and director Guillermo Arriaga discusses the influence of border issues on his work. Arriaga is renowned for his fragmentary, nonlinear narratives that connect characters across national borders, most notably in the “death trilogy” he wrote and Alfonso Inarritu directed: Amores Perros, 21 Grams, and Babel. Arriaga’s The Three Burials of Melquiades Estrada, directed by Tommy Lee Jones, deals directly with the tensions on the U.S.-Mexican border, a terrain that Arriaga has known well since his childhood. He believes that the border between Mexico and the United States is filled with stories of love and friendship, of violence and cruelty, of hope and desire, and of redemption and criminality. The humanity of these stories can be lost when analysis is done from afar and in the aggregate, rather than from the empathetic position of the storyteller. 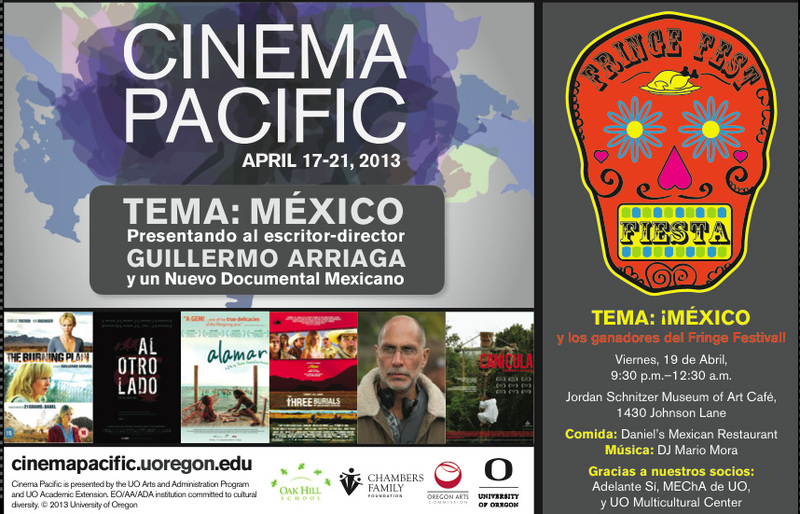 This event is part of Cinema Pacifc’s film series: Tema-México‘. How much has the new art of cinematography inherited from other artistic expressions, especially from literature? In December 2010 Visiting Professor of French Irina Armianu published a paper titled “Jean Cocteau, the movie maker: esthetics at the crossroads of literature and visual arts” in Studia Dramatica: theatre, film, media (LV, 2, 2010), a publication of the University Babes-Bolyai, Cluj-Napoca, Romania. A poet and a movie director, Jean Cocteau brilliantly manifested surrealist inspiration in his poetry, in the performative art of his theatrical representation, and in his cinematography. This article seeks to provide new and interdisciplinary insight into precisely those ways in which film, as an artistic expression, is intimately related to literature.